From The Jacket The Divers World of Indian Painting is a stimulative and perceptive survey of different aspects of Indian painting Authorities of Indian painting in India and aborad have contributed essays to this volume in honour of Dr. V.C. Ohri, the first curator of Bhuri Singh Museum, Chamba who was also the founding, curator of the Himachal State Museum, Shimla. The publication covers a range of subjects and their various aspects relating to the tradition of Indian painting both chronologically and school-wise, Mughal, Rajasthani, Pahari, Deccani, Malwa – the famed school of Central India and Buddhist manuscript painting have been included. There are also essays on murals of Mattancherry Palace, Chamba rumal embroidery, the craft of wood carving & preservation. These articles which reflect the diverse world of Indian painting are a befitting tribute to Dr. Ohri whose contribution to the cause of documenting and preserving Indian painting is second to none. Perceptive, insightful and selective, the book is an indispensable reference tool. The unusual variety of the subject and notable richness of illustrations combine to make this a work of endless fascination. The strikingly illustrated book is a signification contribution to the field of Indian painting and is valuable for students and scholars alike. Being the editor of the National Lalit Kala Akademi from 1980 to 2006, Usha Bhatia carried out the editorial responsibilities and edited number of publications which included journals, books, monographs and portfolio series. She contributed by writing text of some of these publication. After finishing her tern at the Akademi, she joined the Harmony Art Foundation where she is working as the Research Director. Amar Nath Khanna is an archaeologist who has travelled widely in Asia to study art & archaeology. He has four books to his credit and has also edited four books on the subject. Presently he is Secretary, indo-Tibetan Art & Culture Study Group, New Delhi and Founder Member, Rasaja Foundation, New Delhi. Vijay Sharma is an award-winning Pahari miniaturist and works in the Bhuri Singh Museum, Chamba, Himachal Pradesh. He has studied important collections of Indian painting both in India and abroad and has contributed several important articles on Pahari painting for Marg magazine. Besides an exhibition catalogue “Chamba Painting: Origin and Development”, (2006), he also co-authored The Temple of Devi Kothi (Zurich, 2003) with E. Fisher and V.C. Ohri. Indeed, responding promptly to mail and queries is only of many of Dr. Ohri’s virtues He is also very generous in sharing his scholarly knowledge and opinion. And his knowledge, especially in Pahari paintings, which is his particular field of expertise, and in the general history and visual culture of Himachal Pradesh, is vast and deep. It is a fountain in which I have dipped repeatedly for more than three decades of our associated and have never been disappointed. He is one of those rare art-historians who not only knows several languages, including Persian, Urdu and Pahari and Takri script with equal facility, but is remarkably well grounded in the culture history of Himachal Pradesh. 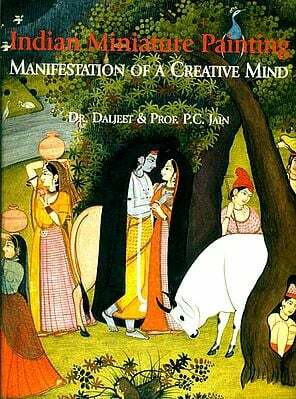 Whatever I know about Pahari painting is largely due to my correspondence with him and reading his writings. I have no hesitation in acknowledging my debt to him and regard him as one of my mentors. I met Dr. Ohri for the first time when I visited Shimla in 1977. As is well known he was the founding director of Shimla Museum after having spent his early life in the Bhuri Sing Museum at Chamba, whose collections he vastly expanded. Subsequently, I visited Chamba in 1884 and under his guidance, along with our younger colleague Vijay Sharma, spent a few delightful days visiting the wonderful monuments and religious sites in that charming hill state. It was a memorable experience. I often hear complaints in India from museum colleagues that it is extremely difficult to work in the Indian environment and pursue scholarly interests at the same time. Dr. Ohri is obviously a shining exception. He not only ably administered one museum but founded another and yet found the time to make major contributions with a number of books and scholarly articles to the advancement of our knowledge of Pahari paintings. And he has done so assiduously in his long years of retirement and continues to do so, even though he is now an octogenarian and in indifferent health. Bravo, Dr. Ohri. Finally, the most endearing and admirable qualities of the man are his gentleness and humility. He is a true sadhaka and an embodiment of the Sanskrit adage vidya dadati vinayam (knowledge imparts humility). We hope, Vishwa Chander Ohri, you will accept this collection of essays entitled Vicbitra-Visva, as a token of our gratitude and appreciation. It is with a sense of great pleasure and pride that we bring out this felicitation volume to honour Dr. Vishwa Chander Ohri, a scholar, historian, museologist and above all a great human being. Our association with Dr. Ohri goes back many years and even through we are divided by distance our affection and admiration for him have kept us together. It is Himachal Bhawan in Delhi that would bring us together and it was during those meeting where we had animated chats and informed discussions about various aspects of Indian art and particularly about Pahari painting. These would spill over into the Bengali Market where over Chat and tea our discussions would go on late in the evenings. We visited together museum and galleries in Delhi. Even though Dr. Ohri does not travel much, we have kept in touch with him in many ways. We felt that to highlight his contribution to Indian art and Pahari painting in particular, a scholarly volume would be the best medium of doing so. When we discussed this with other scholars, who have been touched by Dr. Ohri’s work, the response was overwhelming. Dr. Pratapaditya Pal has been most supportive throughout this endeavour. Not only has he contributed the Foreword but also suggested the most appropriate title Vichitra-Visva for the volume. When we approached Dr. Usha Bhatia, she gladly agreed to be one of the editors of this volume. A visual book on Indian Art is indeed a virtual art gallery or a small museum without any walls and this felicitation volume is a tribute in recognizing Dr. Ohri’s devotional endeavour to lend a new life and growth to the Bhuri Singh Museum of Chamba. His equal contribution as the founding Curator of the Himachal State Museum at Shimla is always going to be remembered. To everyone who has participated in this exciting venture, our grateful thanks. We are sure that this volume will be a valuable addition to the glorious tradition of Indian miniature painting and will be a constants reminder of Dr. Ohri’s notable contribution to Indian art. We are grateful to Shri Vikas Arya of Aryan Books International, New Delhi for his painstaking effort in the elegant production of the volume.